So before I fully get into my story I should start by telling you that I had a great day with the surgeons. My facial surgeon Dr Schmid explained that the painful scab looking bit on my nose was actually glass (Yes, I will have glass resurfacing on my face for a while). I also found out I could get in a pool and see if I can get full movement back in my shoulder. I’m figuring I should probably start with a hotel pool as I may drown from exhaustion in a 25 yard pool. Then at Dr. Squire’s (My oral surgeon) I learned that I could slowly start chewing food in about a week. He suggested that I not begin with a 2-inch steak and that my wobbly, chipped tooth should not be the one I use to bite into a raw carrot. Unfortunately I think that if bagels are out, pizza probably is too. The rest of my day included some ups and downs. Singing to music in the car was a highlight (I recommend Powers by Blackalicious). Forgetting to eat, however, puts me in a mood that Kennett said was, “irrational.” The thing is, I don’t get hungry anymore. I can always interest myself in a second bowl of ice cream at night but that really isn’t from a sensation of hunger. And, on this note, I am curious which taste buds went missing when I bit through and lost one-third of my tongue. So, I was identified as irrational at 5pm today by Kennett, who immediately made me eat. I calmed down and suggested we run a few errands. So, we headed off to fill a prescription for pain medicine. Here’s the good part. I have loyalty to the small stores, or more local chains. My first day out of the hospital I sent my mom to one such local pharmacy and they gave her trouble for over an hour. She’d probably tell me it was an hour and a half if she were around to fact check this blog. Regardless, they gave a woman who spent the last 10 days visiting her daughter in the ICU a really hard time because of a doctor’s handwriting. I tried yet again a week or so at the same pharmacy. This time I picked up the prescription just fine, only to find it wasn’t a liquid but was in the pill form. WHY? WHY? WHY? So I asked if they could change it. Never-mind the fact that my prior prescription was on file in their computer. The sheet of paper didn’t say liquid on it. The funny part of this situation was that I was using the liquid form to slowly dose down so I don’t get addicted to the pain medication. The reason the drug is so restricted is because they think you’ll get addicted. Here is where you can call me dumb. 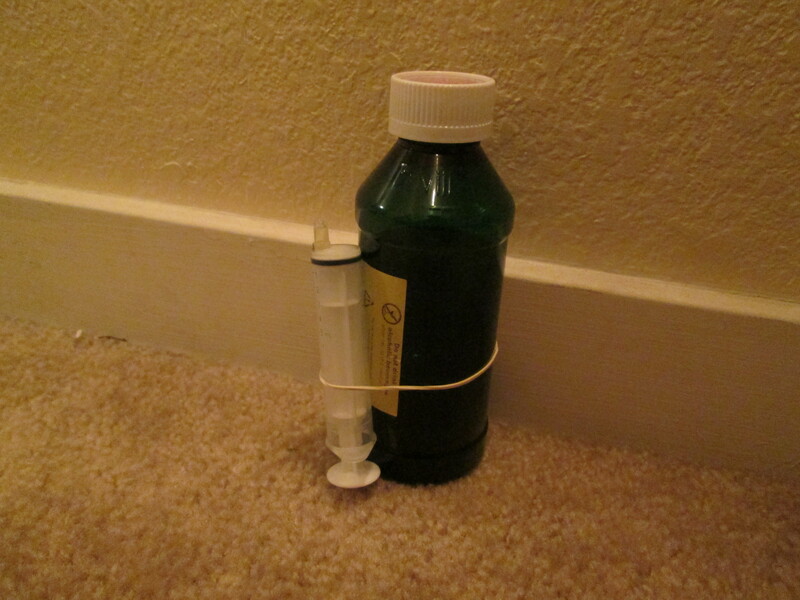 I went back – this time because the pharmacy uses a bottle for the pain medication which makes it easy to take. Come to find out – the script mentioned a drug that was in essence the same medication but with a name that was no longer being sold. So, of course it couldn’t be filled. Once again, why didn’t they look in their computer system. Give me a bit more of what was prescribed before. Right now you may be saying, “Adelaide, there are rules because people widely abuse pain medications. It wasn’t written properly. You should take the pharmacist’s suggestion and look over the surgeon’s shoulder as he writes the script to ensure it is correct.” And maybe you’re right. Perhaps I should even take time to memorize which drugs have been discontinued. But the kicker is, it doesn’t take a pharmacist or surgeon to realize I could probably use pain medications as intended. My face is scarred, my eye is still swollen, my lip is pulled to the side, I can’t talk properly and…my tooth is massively chipped. We left and I asked Kennett if I could go back in. There is no need to expound on what I really wanted to say or do. Use your imagination. As we continued on to other errands I told Kennett I hadn’t even had the chance to show him my stomach tube and squirt stomach juices on him. Obviously over the top, I would never do that because my prefrontal cortex was spared in the crash. Moral of the story: if you see me really angry in the next few days it is either because I haven’t had any pain medication or because I am hungry. I am from Germany and read about it via DC… Broke my femur neck about five and a half years ago in a cycling accident and had to walk on crutches for nearly a year, because that damn bone refused to heal after first surgery. Now everything is relatively fine… Spent a cold but very sunny day cycling around with my two “natural” hip joints and a very good friend of mine… Life’s beautiful!